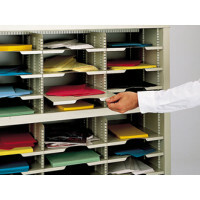 Charnstrom's mail sorters and office organizers offer you roomy adjustable height mail sorter pockets for departments or personnel who tend to receive an abundance of mail. Each mail sorter pocket is adjustable in height by 1/2" increments and is made out of heavy duty steel construction for years of use. 16 - Adjustable Mail Sorting Pockets. 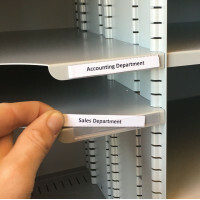 Each mail sorter shelf has 3/8" lip for identifying each pocket. 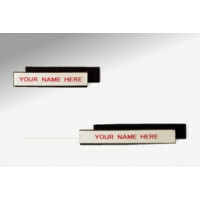 (Optional L22 labels). Putty Color. • SCharnstrom's mail sorter and office organizer shell is welded construction with removable back. • 20 gauge steel with double formed top and bottom for extra strength. • Bottom shelf has welded hat channels to keep shelf rigid. • Top has welded internal shelf bracket for strength. 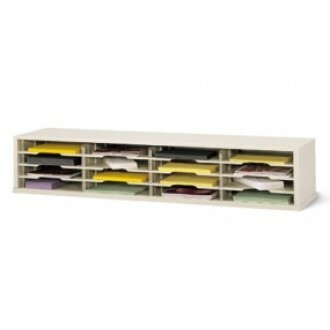 • Each mail sorter shelf is 20 gauge steel with rounded corners for easier adjusting. 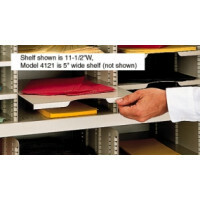 • Individual mail sorter shelves have 3/8" lips for shelf identification and extra strength. 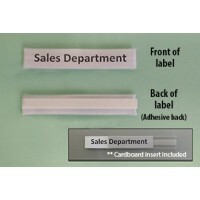 • Front of each mail sorter shelf has large cut-out for easier mail retrieval. Color: Available in putty, please specify when ordering.